Thank you for promising me SALVATION both for today’s battles and for all eternity. Thank You Lord, for saving me and keeping me! My salvation is a weapon You gave me to overcome Satan. AMEN. 7). Describe the difference between sanctification and justification. Ephesians 6:17 instructs us to put on the whole armor of God and to “take the helmet of salvation and the sword of the Spirit, which is the word of God.” When a soldier suited up for battle, the helmet was the last piece of armor to go on. It was the final act of readiness in preparation for combat. A helmet was vital for survival, protecting the brain, the command station for the rest of the body. If the head was badly damaged, the rest of the armor would be of little use. The assurance of salvation is our impenetrable defense against anything the enemy throws at us. Jesus said, “Do not be afraid of those who kill the body but cannot kill the soul. Rather, be afraid of the One who can destroy both soul and body in hell” (Matthew 10:28). The idea in this verse is that, as we prepare for Satan’s attacks, we must grab that helmet and buckle it on tightly. Salvation is not limited to a one-time act of the past or even a future hope. God’s salvation is an ongoing, eternal state that His children enjoy in the present. It is daily protection and deliverance from our sin nature and Satan’s schemes. Because of the power of the cross, our enemy no longer has any hold on us (Romans 6:10; 8:2; 1 Corinthians 1:18). He knows that, but he also knows that most of God’s children do not know that—or, at least, they do not live as if they know. We must learn to keep our helmets buckled so that his fiery missiles do not lodge in our thoughts and set us on fire. Through this helmet of salvation, we can “destroy arguments and every lofty opinion raised against the knowledge of God, and take every thought captive to obey Christ” (2 Corinthians 10:5). 1. Renew our minds. Our minds are battlefields. The outcomes of those battles determine the course of our lives. 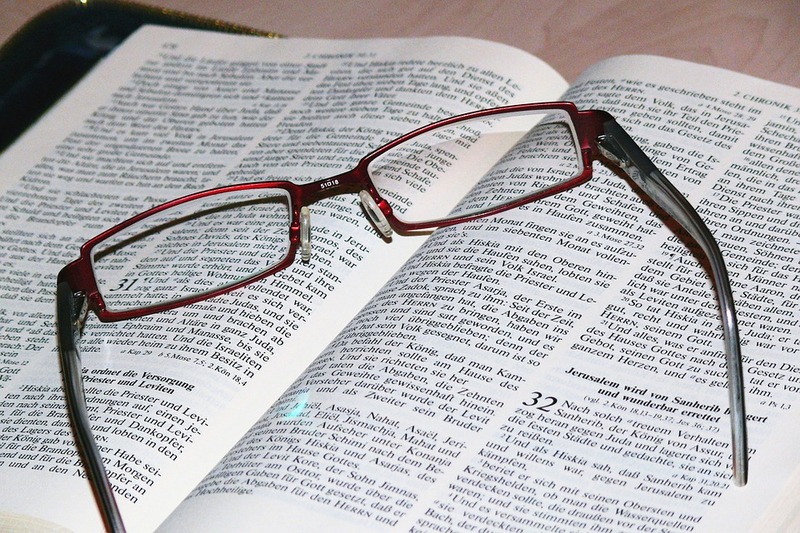 Romans 12:1–2 instructs us to renew our minds by allowing the truth of God’s Word to wipe out anything contrary to it. Old ideas, opinions, and worldviews must be replaced. We must allow God’s truth to continually wash away the world’s filth, lies, and confusion from our minds and adopt God’s perspective. 2. Reject doubts that arise from circumstances. Human beings are sensory creatures. What we cannot fathom with our five senses, we tend to disregard. If we allow them to, circumstances may convince us that God does not really love us or that His Word is not true. It is impossible to have faith and doubt at the same time. God rewards our faith. With the helmet of salvation firmly in place, we can choose to believe what appears impossible (Hebrews 11:6; 1 Peter 1:8–9). 3. Keep an eternal perspective. When life crashes in around us, we must remember to look up. Our salvation is the most precious gift we have received. Keeping our eyes on that can help us weather life’s storms. We can choose to live our lives by the motto “If it doesn’t have eternal significance, it’s not important” (see Matthew 6:20; 1 Corinthians 3:11–13). 4. Remember that victory is already accomplished. When we consider ourselves “dead to sin but alive to God” (Romans 6:11), we eliminate many of the opportunities Satan uses to entrap us. When choosing sin is no longer an option for us because we recognize ourselves to be “new creatures” (2 Corinthians 5:17; 1 John 3:9), we effectively cut off many avenues of failure. 5. Find all our hope in Him. Psalm 73:25 says, “Whom have I in heaven but You? Besides you, I desire nothing on earth.” Our helmet is most effective when we treasure what it represents. The salvation Jesus purchased for us cannot share the place of importance in our hearts with earthly things. When pleasing the Lord is our supreme delight, we eliminate many of Satan’s lures and render his evil suggestions powerless. As we wear the helmet of salvation every day, our minds become more insulated against the suggestions, desires, and traps the enemy lays for us. We choose to guard our minds from excessive worldly influence and instead think on things that honor Christ (Philippians 4:8). In doing so, we wear our salvation as a protective helmet that will “guard our hearts and minds in Christ Jesus” (Philippians 4:7; cf. Isaiah 26:3; 1 Peter 1:5). An heir of God; When the Apostle Paul opened his letter to the Ephesians, he spent the majority of this first portion accentuating the grand benefits inherent in salvation. But the depths of God’s love in choosing us, adopting us, bestowing grace upon us, and redeeming us are only the beginning of what our relationship with Christ offers. We’ve also received a vast, boundless, lavish inheritance, one that we did not earn and do not deserve. And Paul wanted to make sure we never forget it. Because if we do, we’ll likely live a lifestyle well below our actual means. We’ll live within the meager restraints of our earthly resources instead of cashing in on the wealth of our Father. Having a helmet is a confidence builder. It provides the security of protection in the midst of heated battle. The good news for us is that we never have a reason to be without it. The price for our helmet has been paid for in full by our Savior. What a shame if we ever go into battle again without taking full advantage of it, and of the full benefits package that comes with it. The enemy wants you to suffer from a case of mistaken identity this makes his job a whole lot easier. And it makes your defenses a lot weaker. But his reign of terror is over in our lives. Because now we know the truth, God has “made us alive together with Christ” and has “raised us up with Him and seated us with Him in heavenly places” (Ephesians 2:5-6). We will put our helmet on and stand firm against the attacks of the enemy, because of who we are now. 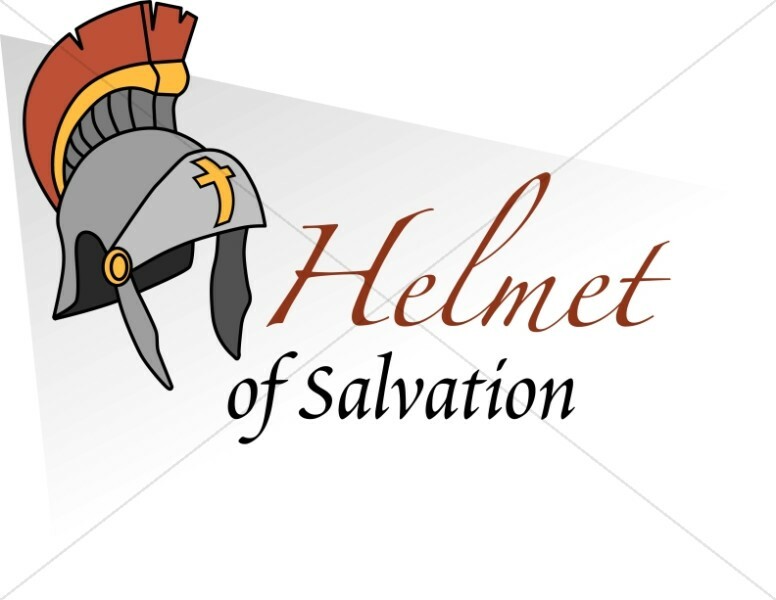 Identity in Christ=Salvation Inheritance=The Helmet of Salvation. This war means renewing our minds and deflecting the enemy’s advance to control them is not for the faint of heart. It requires vigilance, and aggressive proactive attention. The enemy will attach his lies to the coattails of those negative experiences and send them right into the center of your mind. Once you are hurt by something done or said to you, even if it is unintentional or a natural part of life, the enemy will take advantage of the opportunity and begin weaving lies about who you are and about your hope in Christ, using that event as a case in point. What the enemy’s lies! In the book of Dr. David Jeremiah, I saw this “The description of wisdom is about practice, about perspective, and about patience.” “The development of wisdom is a humble spirit, a hungry soul, a hearing heart, and a heeding mind.” “The demonstration of wisdom is acting with skill on what is known and trusting God with what is unknown. When we do this, we move forward steadily in the light of His wisdom and we live as overcomers. May God grant you grace to increase in all wisdom and spiritual understanding! Charge: We don’t know what the future holds, but we know the God who holds the future! 1). The best you can, try to define and describe salvation. 2). What does salvation mean and what does it accomplish for an individual? 3). Read Romans 5:9-10 in the margin. Read it two times very slowly. 4). Can you detect the layers of salvation expressed in this passage? Record your thoughts. 5). In James 1:21 record the multilayered effectiveness of salvation expressed in this verse. 6). From week 3 of our study, do you recall what sanctification is? Write a definition in your own words. 7). Describe the difference between and justification. 8). Read Romans 5 and James 1 again, and underline any words that relates to justification, and circle any that conveys sanctification. 9). What does our God’s salvation involves? 10). What would you change about your current lifestyle if you received a substantial financial inheritance in the next 24 hours? 11). When you were saved, what did you inherit? 12). The helmet of the Roman legionary was called_____. 13). From these Scriptures describe the importance of the mind to the believer’s ability to function in health and victory. (Isaiah 26:3-4, Romans 8:6-7, I Corinthians 14:20, 1 Peter 1:13-16, and Hebrews 8:10). 14). What is our benefit package? 15). 2 Corinthians 10:4-5,the _______of our warfare are not worldly, but are powerful through God for the demolition of _______. We ______arguments 5 and every high-minded thing that is raised up against the knowledge of God, ____ ______ ______ _____to obey Christ. 16). What are the three key mission objectives in salvation? 17). What is your identity? 18). For the next seven days, try not to say or do anything in response to feelings of insecurity, fear, or really anything that is out of alignment with your true identity in Christ. You might be surprised at how quiet you become. I don’t know if I have shared this or not, but this is so important to me. I am an overcomer because I put on the whole armor of God daily! I am a believer, and I have overcome the world because of Jesus Christ’s sacrifice. This is the victory that has overcome the world, even my faith (John 5:4). I have learned from this lesson that faith is a protective barrier between us and the schemes of Satan. We must trust and believe!! When we believe God and trust His Word, we remain grounded in truth, the lies of the enemy lose their power, and we become overcomers. This is when we have a firm foundation and strong faith in God. Not only should we trust God, but acknowledge the Holy Spirit in all our ways, and then will He (Holy Spirit) led us daily. God’s shield of faith provides a blanket of protection. It is meant to be taken up in all circumstances in our lives. Faith is important to all believers; “Now faith is the confidence in what I hope for and assurance about what I do not see.” I am reminded of the study, “Changing the Seen & Shaping the Unseen” (By Charles Capps). This is the way you begin to change the seen and shape the unseen. Abraham called things which were not manifest in the natural realm as though they were—until they were! Abraham was the man who against hope believed in hope, that he might become the father of many nations, according to that which was spoken (Genesis). He was 99 years old, and his wife was 90; but he was not weak in faith. He would not consider anything that contradicted what God had spoken. Abraham didn’t know about the spiritual warfare weapon, but he used it. This is what the Bible call real faith, on fire faith, good faith, and a firm foundation! These patriots had that kind of faith. They knew God was a faithful God. They knew His loyalty. They knew His integrity, and faithfulness are unmatched. That firm foundation is to know that God has not given us the spirit of fear, but of power, of love, and of a sound discipline mind of Jesus Christ our Lord. I have learned to let the devil hear me say, “It is written!” Faith overcomes fear too. Our charge is to shift our focus from ourselves to Jesus, then our faith will become powerful and we will become fearless. In my situation now I am walking by faith and not by sight. I still have to remember to put on the whole armor of God daily, when my eyes open in the morning I must put this armor on, I must! And I must keep it on all day. We have sized up the enemy, we have put on the belt of truth, we have put on the breastplate of righteousness, and we have put on the shoes of peace, and now the armor of shield of faith for our protection. 1). How would you describe the difference between belief and faith? Belief (be-lief = hold-dear) is often said to mean faith but one person may believe a thing and have faith in it, while another believes the same thing but has no faith in it. You can believe a man is a plumber but have no faith in him or trust him to do your plumbing. Faith (fideo | fidelity) Alone of these words faith cannot be made a verb. We can say I think, I believe, I know, I trust and I hope, but we can only have faith. It is a possession, something to be gained. It is often used to mean belief but you can believe something but have no faith in it. When you do or follow something faithfully, you do so to the letter. Faith is an absolute. Its absence is a real absence. I would say you must have faith in something you believe! 2). 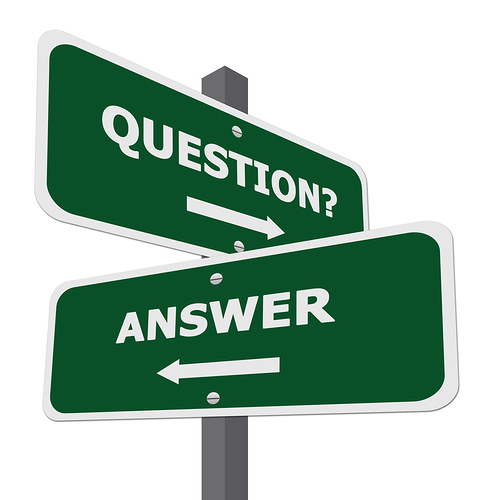 Generally speak, what do you think are the biggest hindrances to believers acting in faith? I believe it’s not seeing what you are believing for. 3). Read (Proverbs 30:5) Thank You Jesus! 4). The unique, oblong shield of the Roman soldier was called_____. It was called a scutum. 5). Is there any instance from your own experience when you felt specially protected by God as a result of having acted in faith? Yes, many times! Just the other day I was driving and almost was in an accident, but I believe because I prayed before traveling, God protected me, and His angels was encamped around me that day, and I believe always too. Thank You Lord! 6). How does James’s illustration using the human body and spirit (in the margin) help explain the concept of faith and works more clearly? Faith apart from works is dead; when we are walking by faith we must take action in our faith. 7). Read the passage in the margin (Ephesians 6:16) and underline the statements surrounding the “shield of faith” that reveal Paul’s emphasis. 8). Turn to Ephesians 6 and compare verses 14-15 with 16-17. What major difference do you detect in the tone of these two sections? Please give your observations. Very interesting! The belt, breastplate, and shoes we put on daily, but the shield of faith, helmet of salvation, and sword of the spirit he commands us to take it up when required. We active faith as a shield of protection over our lives we needed. 9). Recall a time when you sensed your confidence growing and the fiery arrows fading as you walked by faith. 10). Hebrews 11 has long been described as the Hall of Faith. Loot at each of the following people, and write down any observations you find interesting about how they utilized faith in their experience. 11). Which of these people and stories do you most personally relate to? I would say Sarah because she had confidence in God, and she trusted Him. I am sure she had problems with unbelievers in her lifetime. In my situation I have confidence in God to get me through my transition of retirement, and settle down in my new place. 12). What do you feel God is asking you to do in faith right now? I believe God is telling me to stay with my patient for now, even though I want to retire and not work part-time. I have faith in God!!! 13). Read Ephesians 2:8. Explain. 14). Read Luke 17:5-6 in the margin. Underline what the disciples asked for. Circle Jesus’ response. 15). Why do you think the connection between truth and faith is critical? We must believe God’s Word is truth in order to have faith in; the truth is that God has not given us the spirit of fear, but of power, of love, and of a sound mind of Christ, therefore, we can have faith in this power because of His love for us. This is a sound mind! 16). Read Luke 5:1-7, 11, explain to the best of your knowledge. Victorious faith is acting on God’s living Word. Jesus was the Word and the Word spoke to the disciples and said have faith, just trust me, and because they did, they experienced a miracle, then they follow that miracle. AMEN. 17) What is God asking you to do in response to what you’ve seen in Simon’s example? God is asking me to trust Him concerning my retirement and where to live during my retirement. It was frighten as I approached my year of retirement, and I just couldn’t see it. I didn’t know what to do. God was asking me to trust Him in my spirit, and then all of a sudden it became so clear to me of what He was saying. I responded and God gave me the heart to believe it was Him. In the next few months it will be completed! I trust You Lord! 18). Read John 10:27, do you believe Jesus is talking to you? Yes I do with all my heart, mind, and soul! 19). Have you in any way allowed your feelings to override your commitment to obey? Yes I have done that in the past! 20). Read 2 Timothy 1:7 I love this Scripture! 21). When God tells us to walk by faith, according to 2 Timothy 1:7, what is God asking us not to do? He is asking us not to walk in fear, but trust Him. 22). To you, what is a firm foundation? A firm foundation is having strong faith in God’s written Word, and having a desire to follow the Holy Spirit as He lead us in applying it to our life daily. Speaking the Word over our live daily. Father God, Thank you for helping us to have FAITH in you. We choose to count on everything you have shown us about yourself — and everything you have promised us in your Word. I put my faith in You every day, every day! AMEN.